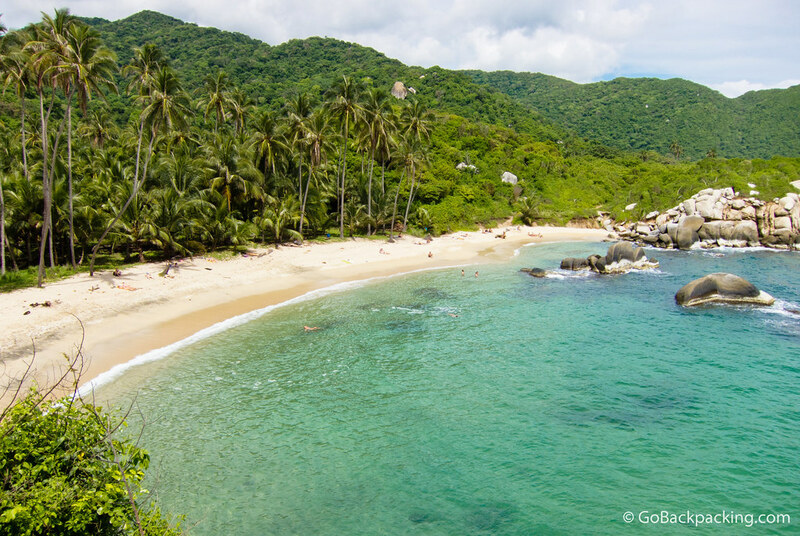 This gorgeous beach awaits travelers willing to hike an hour and a half into Parque Tayrona on the Caribbean coast of Colombia. For those short on time, or patience, you can also take a 45-minute speed boat from Taganga for $20. Parque Tayrona is a popular destination for backpackers due to the beauty of this beach alone. So beautiful, makes my heart ache! Wow this is beautiful. I’ll be sure to swing by here on my backpacking trip around the world! I’m so stoked!